Q: I purchased the Theobroma cacao two months ago. The leaves are wilting from the edges. Do you think this from not enough water, too much water or not enough sunlight? I am keeping the plant indoors. 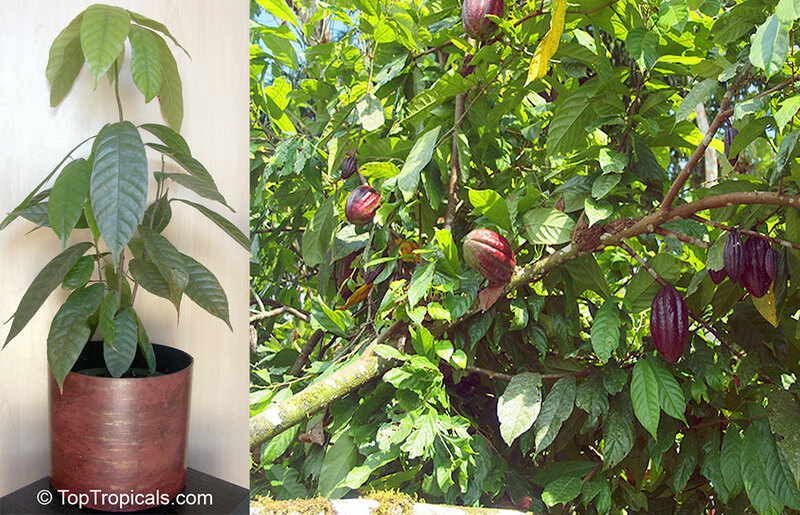 A: During winter time, Cocoa plants even inside our greenhouse look the same. Dry tips of the leaves are normal for this time of the year. It is a combination of lower temperatures and low humidity that causes it. Indoors air humidity is especially low. Weather permitting, bring plant outside in the bright shade, when temperatures are above 65F. Humidifier and water-spraying will help too. You may put the plant on top of a tray with pebbles/water. Do not overwater - extra watering is not a substitute for high humidity. As spring comes, Cocoa plants start looking greener and grow new healthy leaves.